Lauren from Group 1 BMW Worthing graduates as our first ever Professional Aftersales Advisor. Her year long course covered all aspects of the service arena and required her to provide real life evidence of her knowledge and competence throughout the programme. Lauren’s work was so exemplary that it was commended by the Institute of the Motor Industry. 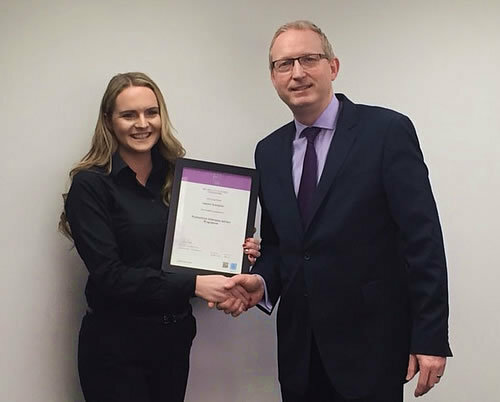 Adam Heffer, Head of Business, presented her with her IMI Accreditation. Well done Lauren, you’re a superstar and one to watch for the future.